I don’t really not much about this release or the group that made it. I am not even sure how exactly I found it. But I do know I like it. 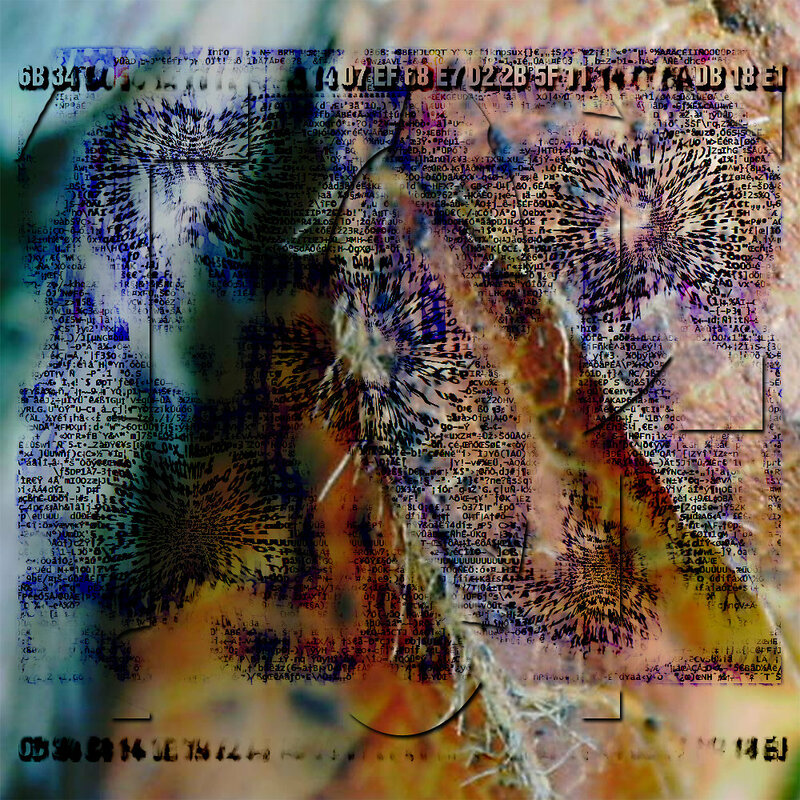 The description provided by the label is as follows: “This semi-improvised performance was recorded live during the screening of Carl Theodor Dreyers Vampyr (1932) at Fantastisk Filmfestival, Lunds Stadsteater 2012.09.23. ” That provides us with a bit of context. Over 2 sides, each a bit under 30 minutes, the music unfolds at a slow and deliberate pace. Given the theme, I guess there was the danger of the music being a bit overly heavy, but that is not the case. It is quite gentle and open, while cultivating has a slightly haunting atmosphere to. It kind of has a krautrock-ish / pysch band kind of vibe to it, but it is more restrained and controlled. Pretty much the only thing I dislike about the release is the artwork, which is a pretty poor rip on Edvard Munch’s work. 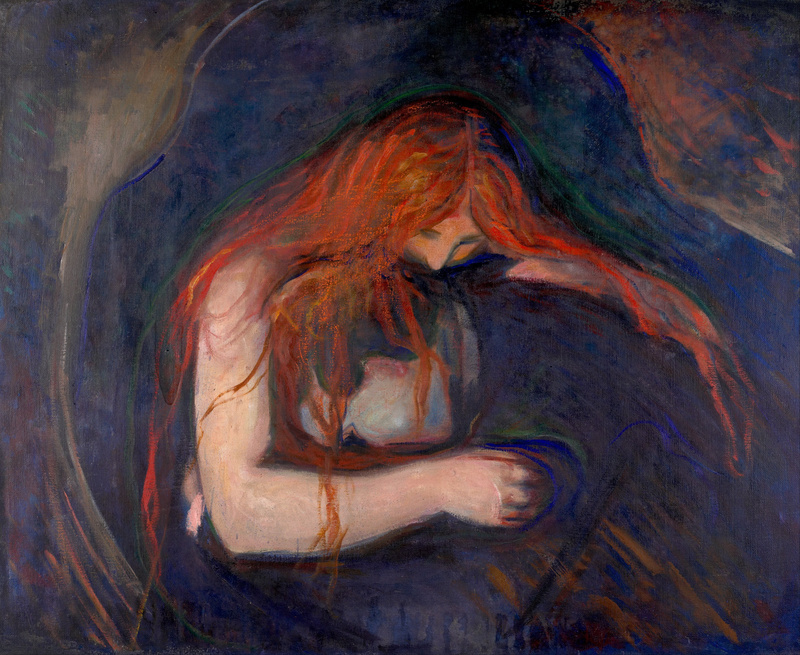 And given that Munch actually did a series entitled “Vampire” (which this picture above is from), there is even less excuse for the artwork the album used! Anyway, besides that it is a really nice release and well worth giving a listen. Oliver Ho is hardly a new face when it comes to techno. I remember being a big fan of his early work on Blueprint and his explorations of tribabl techno on his own Meta label. But since then I have struggled to connect with much of what he has done. For whatever reason I found much of the output under his Raudive alias as a bit awkward. There were often interesting ideas there, his production is always excellent, but for whatever reason I felt most of it just didn’t quite work. My opinion has really changed in the last few years, however. Perhaps my tastes have altered, perhaps the project matches better with the current zeitgeist, perhaps he’s just finally found the right balance of funk and weirdness. Or most likely a combination of these things. I felt the “Levels” EP from a few years was his strongest work as Raudive, until his LP last year, “A System of Objects“. This was very quietly one of the better albums of last year, and was followed up by a very strong EP this year on Jealous God under a new alias, Broken English Club. Basically this is a rather long way of saying that it really feels like Oliver Ho is hitting a sweet patch once again with his productions. Ho recently put together a mix for Electronic Explorations composed of productions under his Raudive, Broken English Club and Zov Zov aliases. Honestly I don’t really see too much difference in what he is doing with the different projects, they all seem to be operating roughly in a spectrum of post-punk weirdo dance music that veers into the experimental realm. Regardless, this mix does a great job of showcasing the freaked out vibe he has been very successfully creating. I strongly suggest checking the mix, as it indicates the rather distinctive and interesting direction Ho is currently headed in. It is also worth heading over and checking out Electronic Explorations, as they’ve had a very strong run of mixes lately. Navngitt Mønster Opptog brings together Norwegian drummer and percussionist Morten Olsen (snare drum, tape delay) and Ruben Patiño (laptop, mixer). Their joint project blends acoustic and computer generated sounds while exploring the boundaries of repetitive structures and sound spatialisation. I have no idea who these guys are, but that intro kind of gives you an idea to what they are doing. Their 1st release, “Dominant Akord”, is kind of cool, but more for the promise it holds than what it actually does. Their potential is much more fully realized on their 2nd outing, “Nederlandse Maatschappij Ontwikkeling”. The most obvious point of comparison would be Powell’s music, and people who like what he and Diagonal have been doing, are probably going to really like N.M.O. It has a similar kind of off-kilter, weirdo energy to it. But N.M.O. feel much more machine-like, for lack of a better expression. Reminds me of the title from that old Green Velvet track, “technology’s out of control“. 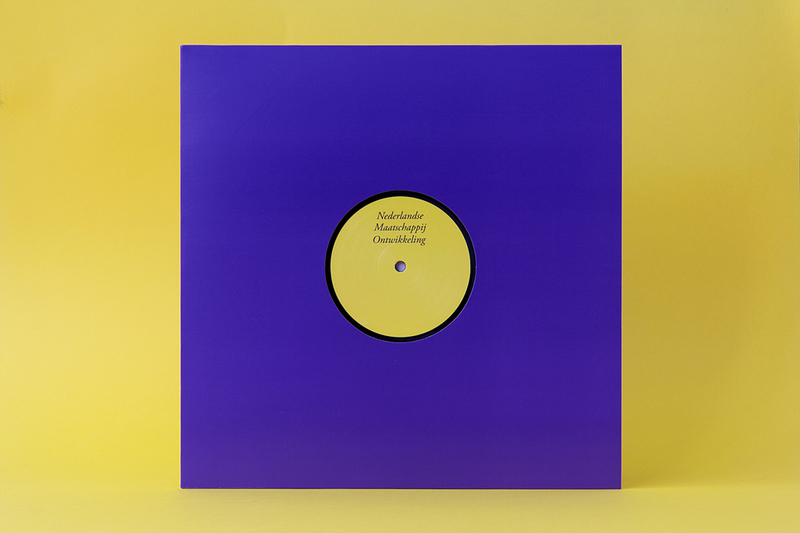 This release is well worth checking, and I will definitely be keeping a close eye on these guys – I think N.M.O. has the makings of a potentially very interesting project. Last Saturday night Tokyo was graced by Yves De Mey, who treated us to a set of sonically powerful and dynamic midtempo techno. It was a controlled and impressive performance, and I really liked the way he translated his productions into a live setting. Definitely worth checking, if you can. I had the pleasure of being on warm up duties, playing the 12 – 2 slot before Yves. This night was definitely not supposed to be about straight 4/4 techno, so I took advantage of having an open minded crowd. I’ve been interested in playing opening sets that incorporate drone and more experimental material, while still trying to present it in a way that is not alienating and can work in a club context. With this set I was very conscious about pushing people, but not so much that they tuned out. I think I managed to get the balance about right, and it gave the overall set an interesting push and pull dynamic. It begins lighter and brighter, before heading into drone and bass. I am not completely sure how well the recording translates out of the club setting, but I decided I wanted to share it here because I think it gives a pretty accurate representation of what I’m trying to do with my DJing at present. I haven’t made a tracklisting for the mix, but if anyone wants any track IDs, just leave a comment here or on Soundcloud and I’ll reply. Thanks to Tomo and Atsushi for having me play, and for all the artists and crowd at Louver for a fun and rewarding night. Hope you enjoy the recording. Apologies for the lack of posts here, hoping to be more active with the blog again soon. 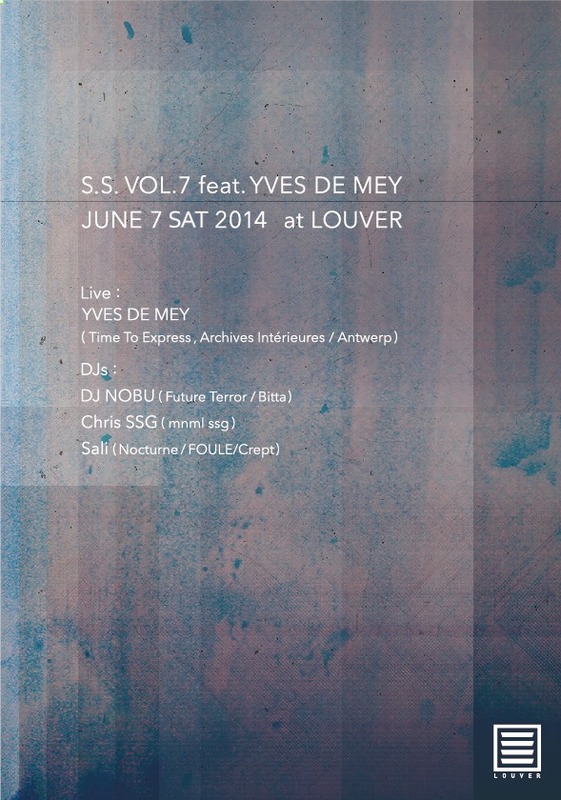 It’s been a very busy period with work… Anyway, for those in Tokyo, Yves de Mey is coming to town this week. He’ll be doing a DJ set at Dommune this Thursday 5 June. And then on Saturday 7 June, he’ll be doing a livepa at Louver. Yves has been developing a really interesting take on techno through his recent EPs on Opal Tapes, Modal Analysis, Semantica, and a mini-album on the Archives Intérieures label he has established with Sendai partner Peter Van Hoesen. Yves has been crafting some very sonically powerful music and this is a great chance to hear him on a proper sound system. I’m also very happy to be warming up for Yves on the Saturday night. His music tastes strongly overlap with my own, and I am looking forward to providing a set that should match well. I’ll be playing a kind of “drone and bass” set, this is a description Surgeon used for one of his Boiler Room sets, and while I make no claims to be doing anything as good as him, I do think it’s an apt way of explaining what I’ll be exploring. To cap off the night, DJ Nobu is also playing, so it should be a night of forward thinking techno at Louver on Saturday. Hope to see you there!